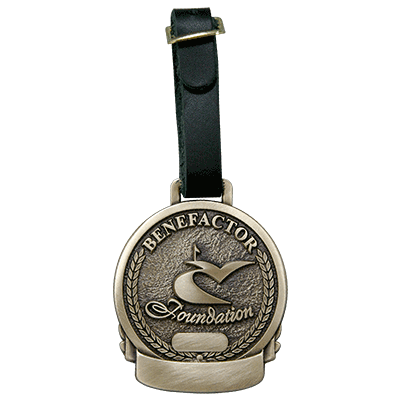 Caves Valley Foundation Bag Tag is a 2" diameter sculptural bag tag. Crafted in antique satin and polished cast bronze with black leather strap and brass buckle. Features banners for deep mill engraving of current year and individual names.